Both Worthing and Worthing town regattas were cancelled over the weekend due to strong winds. 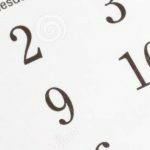 The regatta calendar will be updated as and when we know the new regatta dates if the regattas are rescheduled. 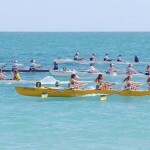 Posted in News, Regattas | Comments Off on Worthing Regattas Cancelled! 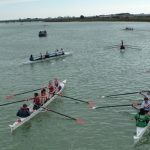 The 19th and 20th of May saw Hastings and Bexhill Regattas hit the water. Brilliant Conditions and racing both days suggests this will be an exciting season. We will meet again on the 2nd and 3rd June for the Shoreham and Brighton regatta weekend. Shoreham, Brighton and Hove, Worthing and Worthing Town. 1.5 regattas complete, 4 cancelled…! The season is underway, but it’s off to a rather slow start. We should be readying to race at the sixth regatta of the season, and the half way point, at Worthing tomorrow. However, owing to yet another weekend of high winds we have completed only 1 and a half regattas so far. Nonetheless, coastal rowing is often this way, and we’re hopeful to build some momentum after our slow start over the next two weekends at Dover on the 18th of June and Eastbourne on the 24th of June. You can see the results so far on the League Tables page. Posted in News | Comments Off on 1.5 regattas complete, 4 cancelled…! After the cancellation of the Adur Head, this year you’ll all have to wait until the Viking Shield at Folkestone on the 22nd of April to get the measure of one another. We look forward to seeing you all at the event. 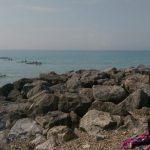 Both Shoreham Regatta on Saturday and Brighton Regatta on Sunday saw northerly winds blowing strongly making conditions a little windy on the beach but flat and calm close to the shoreline. 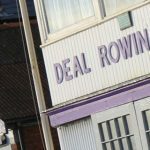 With all clubs except Hastings in attendance, it was this season’s big three who took the the glory, with Bexhill, Deal and Shoreham winning all of the races over both days between them. While great results for the three clubs involved we hope that in the future we can see more clubs moving forwards and developing to take their share of the wins. As has been the case on the previous 2 racing weekends, many races were won comfortably. However there were some notable moments of excitement and close racing – none more so than in the Senior Sculls race Between Deal’s Will Dennis and Bexhill’s Mark Mitchell at Brighton Regatta where the lead changed hands on many occasions and the result was decided in the last strokes of the race, with victory going to Mitchell by less than a foot, this takes the Championship to 3-2 in favour of Dennis. Other close races included the Men’s Junior Four which was won on both days by a small margin by Shoreham moving them into a 3-2 overall championship lead – we look forward to more close racing in this category in the coming weeks! 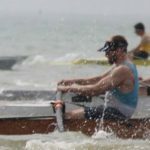 Bexhill’s 12 victories would normally have been impressive, however this paled next to the home club Shoreham’s extraordinary 21 wins over the two regattas. Nonetheless it is still Bexhill who lead the way in the League, while Shoreham are in control of the Grand Aggregate race. Sadly, high winds on Friday night and Saturday morning meant Hastings regatta was called off. 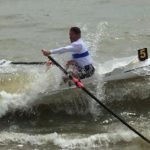 However the weather calmed over Saturday night and Sunday’s regatta at Bexhill went ahead on rough but certainly row-able water. It’s that time of year again, and the coastal racing season is upon us! 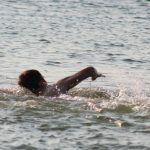 It’s time to put all that winter training into practise, and time to celebrate all that is great about coastal rowing. We’re all excited about the season ahead – and let’s hope we get as many regattas in the sun as possible. 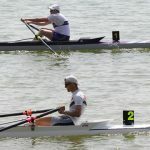 Regatta results should be updated as soon as possible after each race or race day, so make sure you check the website regularly throughout the season. Good luck to all clubs racing! 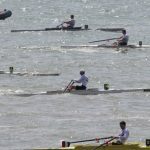 Posted in News, Regattas | Comments Off on Racing Season is under-way!